Dental x-rays assist dentists in diagnosing and treating issues that may not be visible during regular dental exams. Without dental x-rays, dentists are unable to view problems that occur between and inside the teeth, as well as below the gums. Dental x-rays can save you time, money, and unnecessary pain through early detection of abscesses or cysts, bone loss, cancerous and noncancerous tumors, decay between the teeth, poor tooth and root positions, and problems below the gum line. At Webster Dental Care, dental x-rays are recommended for all new patients. Typically, returning patients take new x-rays every two to three years, but your dentist will create a personalized x-ray schedule based on your individual needs. 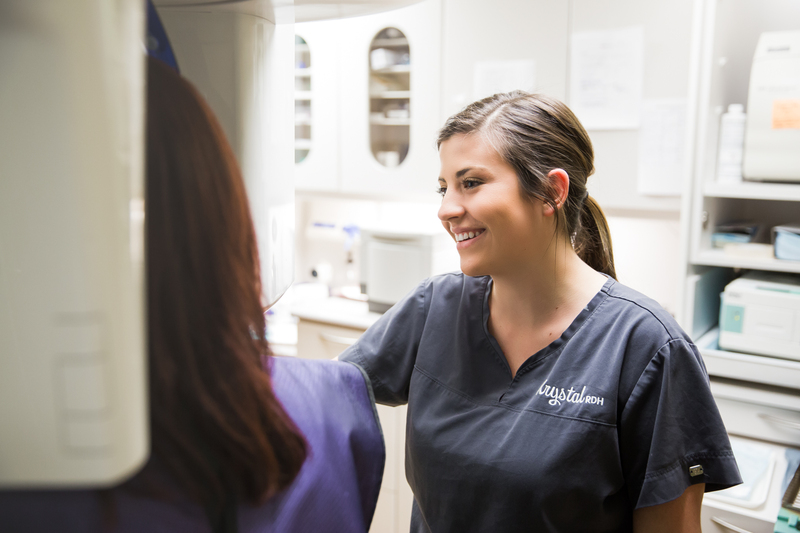 Our team of dental hygienists will walk you through the x-ray process to make sure you are comfortable while the imaging is performed. Dental x-rays produce a low level of radiation, so our team takes every precaution to limit exposure and ensure patient safety with protective aprons. If you have questions regarding dental x-rays, please contact our office at 314-96-TEETH.